Manikarnika made Rs6.75 crore nett in its third weekend; Ek Ladki Ko Dekh Toh Aisa Laga got Rs1.80 crore nett in second weekend; Amavas collected Rs2 crore in its opening weekend. The business of Manikarnika: The Queen of Jhansi (2019) was dull over the week, but it picked up in the third weekend as it collected Rs6.75 crore nett, as reported by Boxofficeindia.com. The film has now made Rs84.25 crore nett in India business. Made at an estimated budget in excess of Rs100 crore, Manikarnika: The Queen of Jhansi was released on 3,000 screens in India. The Zee Studios, Kairos Kontent, and Nishant Pitti co-production has a Rs40 crore combined satellite-music-digital deal. Amazon Prime Video holds exclusive digital streaming rights. 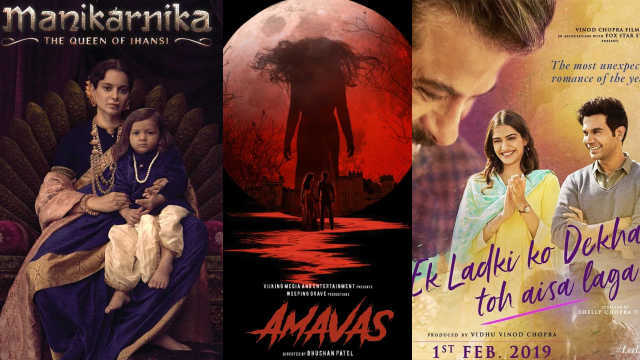 Nargis Fakhri and Sachiin Joshi’s horror flick Amavas (2019) had a poor opening weekend as it made only Rs2 crore nett. The film was released on 1,300 screens in India. As per sources, the budget of the film is Rs18 crore. Meanwhile, Sonam and Anil Kapoor-starrer Ek Ladki Ko Dekha Toh Aisa Laga continued to perform poorly as it picked up only Rs1.80 crore nett in its second weekend. The queer love story has so far made Rs18.21 crore nett at the box office. The film, produced by Fox Star Studios, made a poor Rs35 lakh nett on its second Friday. It could only collect Rs70 and Rs75 lakh nett on Saturday and Sunday, respectively. Made at an estimated budget of Rs35 crore, Ek Ladki Ko Dekha Toh Aisa Laga was released on 1,200 screens. Among the new releases, Hollywood flick Alita: The Battle Angel was the biggest draw as it was released on 1,200 screens. The film could collect Rs7.50 crore nett in its opening weekend. 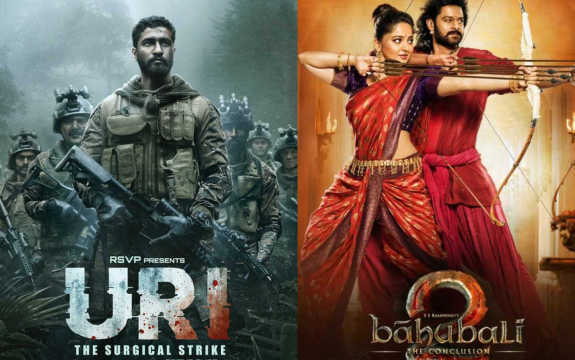 Holdover release Uri: The Surgical Strike continued to be the first choice of the cinephiles as it bagged Rs12 crore nett in its fifth weekend. Uri has so far made Rs212.35 crore nett in its India business so far. Ranveer Singh's Gully Boy will be out on 14 February. The buzz around the film is strong and films like Manikarnika and Alita are likely to be affected adversely. Uri is likely to slow down too.